We offer Automatic Form Fill & Seal Machine for granules, tea, coffee, mehndi, tablets, salt, sugar or other similar granules. 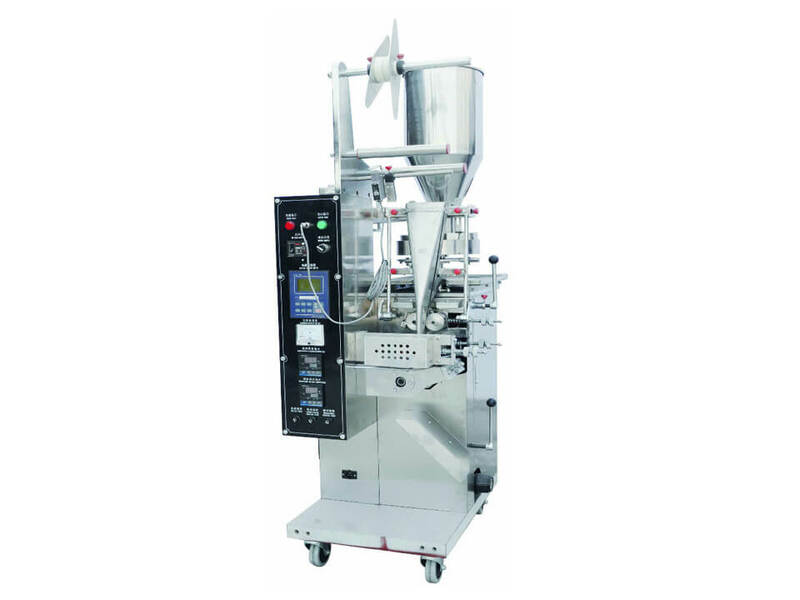 These automatic packing machines are highly suitable for packing various powders, granules, tea, coffee, peanuts, mehndi, tablets, etc. The following three models can be your choice according to your need. 1. 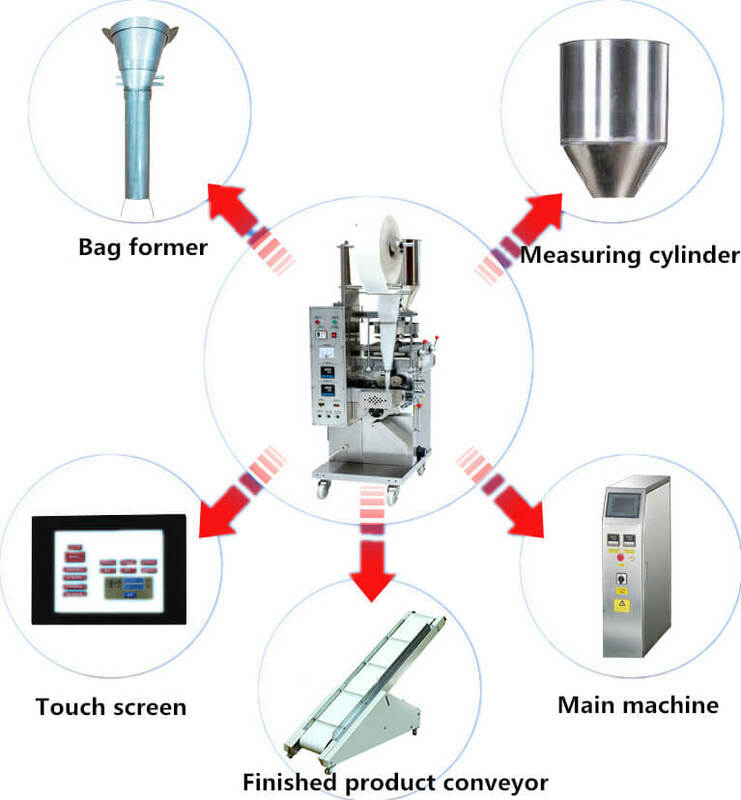 Application: AMS-DXDK-40(80) automatic granule packaging machine suitable for 1-50ml (g) of granule materials packaging, used for food bag and bag of salt, desiccant, tea, etc. 1. 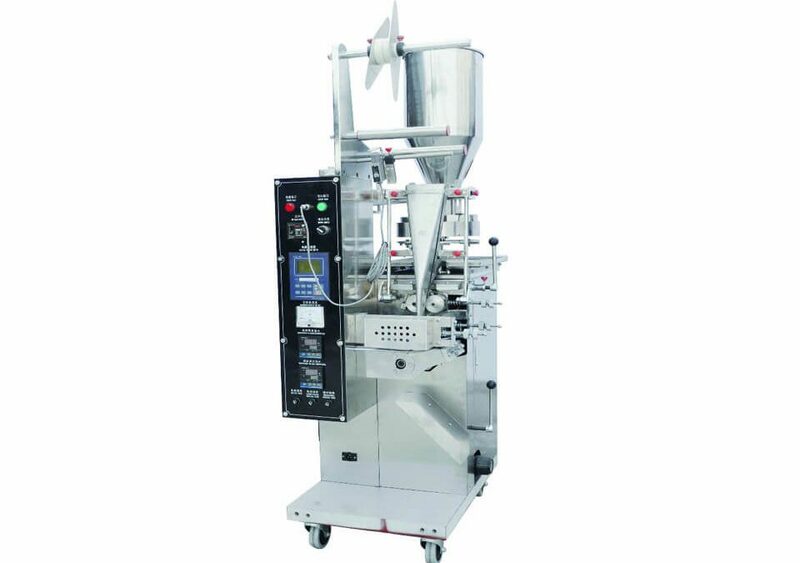 Application: The packaging machine for packaging pesticides, veterinary tablets, seeds, medicine, feed, desiccant, salt, MSG, soup, buckwheat tea, coffee as well as free flow of particles, complete automatic metering, bag making, cutting, counting, play dates. ① Decorated with stainless steel in accordance with GMP standard. ② The machine adopts PLC controller, using advanced CPU and best power supply. All the parameters can be install and adjust easily. ③ Accurate tracking: at the speed of 50-100Bags/Minute, the error is less than 0.5mm. ④ Bag’s length can be set by a computer which gets rid of the troubles of changing the gears and adjusting the length by hand. ⑤ The adopting alarm function for the specified output also can display the packing speed. 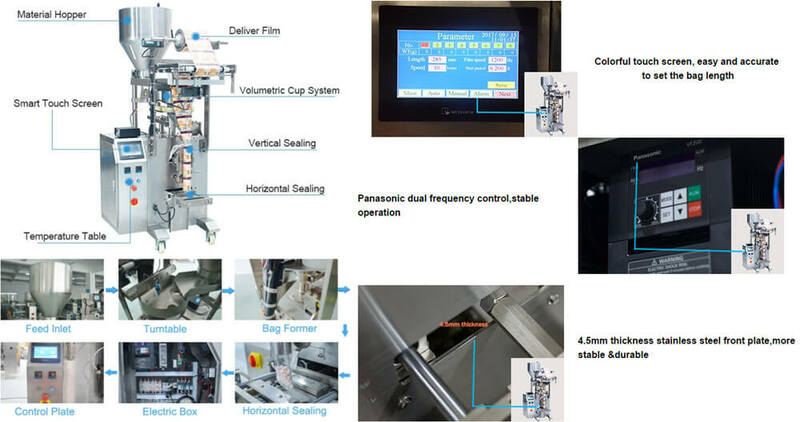 ⑥ The printer can be selected which can print 1-3 lines of a batch number, production date, and shelf life. 3. Packaging Materials: Paper/PE, pt/PE, polyester/plated al/PE, polyester/PE, BOPP thin touch, filtering paper and other comprise materials that can be heat-sealed. 2. 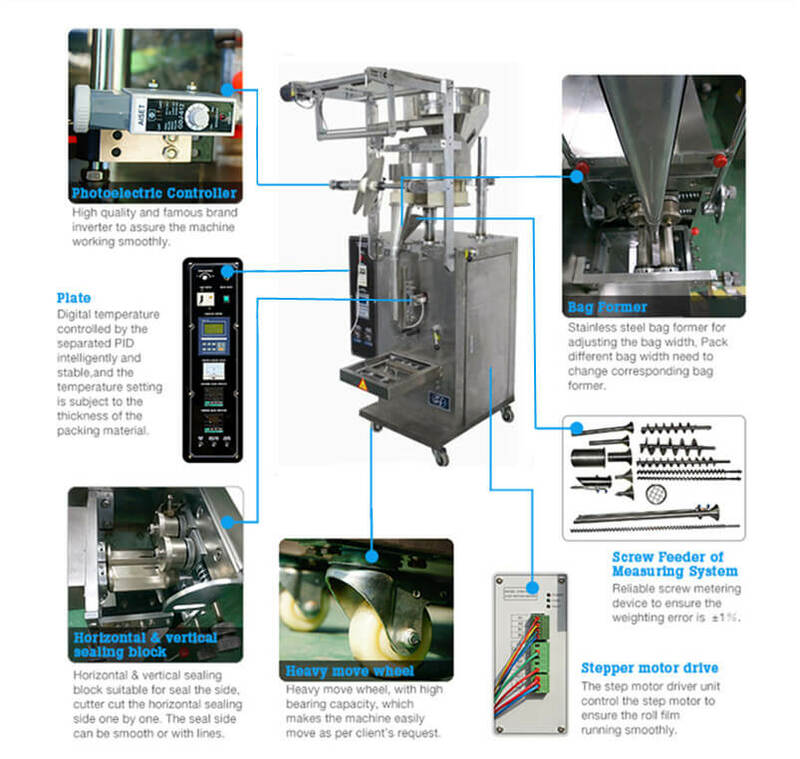 Function: This machine can finish a series of work including automatic measuring, bag-making, bag-filling, bag-sealing, bag-marking, bag-cutting, bag-counting etc. 3. Packaging Materials: Paper/PE, Pt/PE, PET/Plated Al/PE, BOPP film, tea filter paper, other composite packaging materials etc.